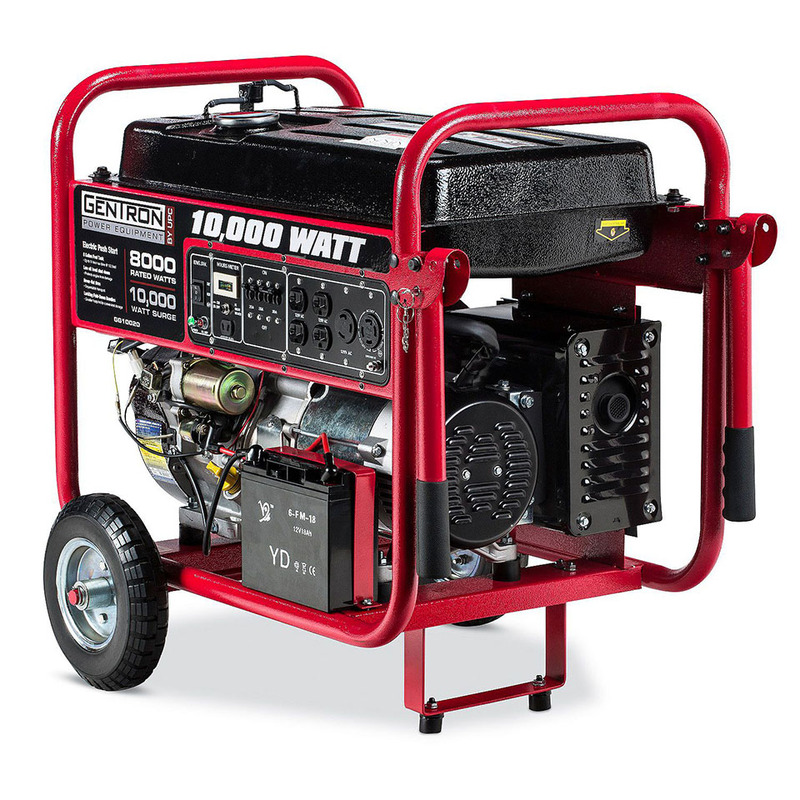 This Gentron 10,000w portable generator boasts big power, with a 420cc, 15 HP, 4-cycle OHV air cooled engine it can handle most of your home power needs in one unit. 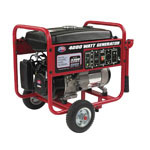 With several outlets for versitle use, and added features such as an automatic voltage regulator and backup pull-start recoil, this unit will never leave you stranded. 4 standard outlets. Fully protected 110V. Dimension: 27.75" x 25" x 22"
Easy to Assemble although instructions could have been more clear. Started right up without hesitation. 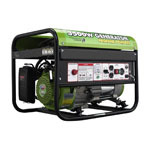 Have not had to use for full power outage emergency yet, but are happy with the Generator so far. 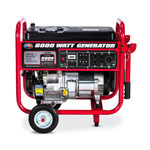 The generator is an excellent purchase and should be able to provide power to my entire home in case a power failure. The unit is very well made and should last a very long time. Ordering process was effortless. It shipped Freight and arrived in a very timely manner and in excellent condition. The driver was courteous and professional. The generator was well packaged and complete. The wheel kit was a breeze to install along with the helper handles. A long funnel is all but a requirement to fill it with oil. I had one, so no problem. I installed the battery. I did pull the rope crank a few times slowly to insure things were lubricated before starting it. 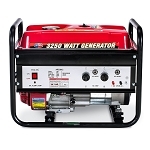 The battery had plenty of charge and started the generator immediately . It ran smoothly and I was pleasantly surprised it was quieter than I expected. I wanted to test her out so I connected both my Motor home and travel trailer to it and it handled them both with no problem, even running the A/C. 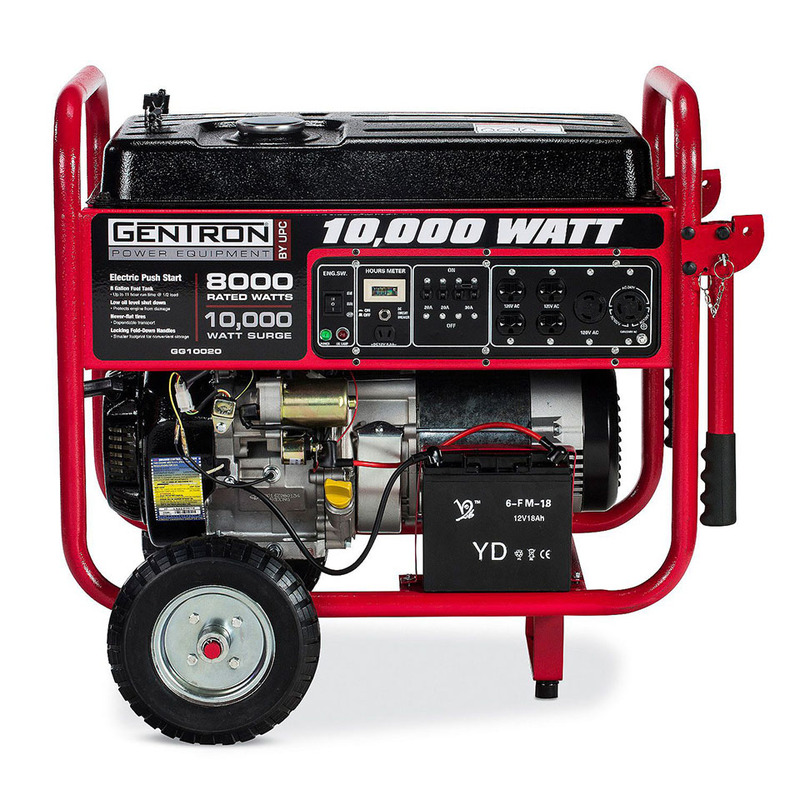 I haven't found a single con with this Gentron Generator. It's a quality built work horse and I am very pleased so far. This is one of the first if not the first major on line purchase from Sam's Club. I was somewhat concerned that it would be less than what I expected. However, I was gratefully disappointed in that it is a super product. Although it is heavy, it is still manageable. I removed it from the box one evening and used it the next day for four hours at a outdoor Kiwanis Pancake feed to run mixers etc. I was very pleased and would recommend this to others. 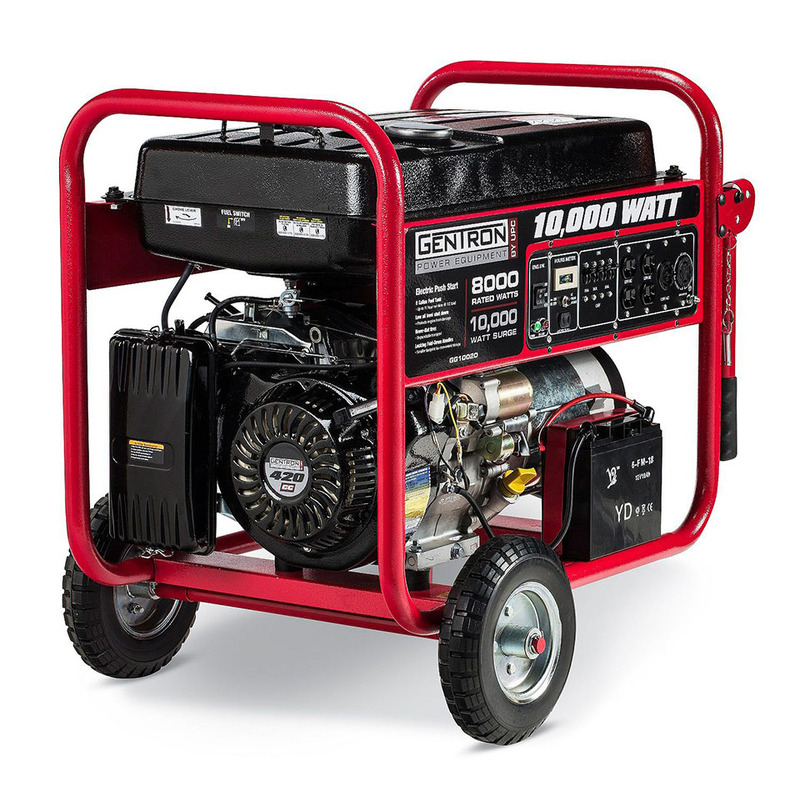 Bought it to use as a back up to the home if have a power failure and plan to have it set up to automatically start if electricity goes off. Building a cabin in IL. 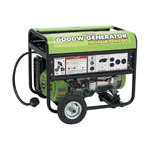 This generator is handling my Craftsman Air Compressor / Framing Nailer, Drill, Power Saw, Lights - ALL at the same time. 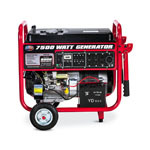 With the electric starter, I plan on it helping me stay OFF the grid when the cabin is done being built. Tank Size (G) 8.0 GAl.